We're not sure how many people have both NES and Famicom collections sitting around, but we are sure that even if you only have one or the other, you're going to want an Analogue Nt. 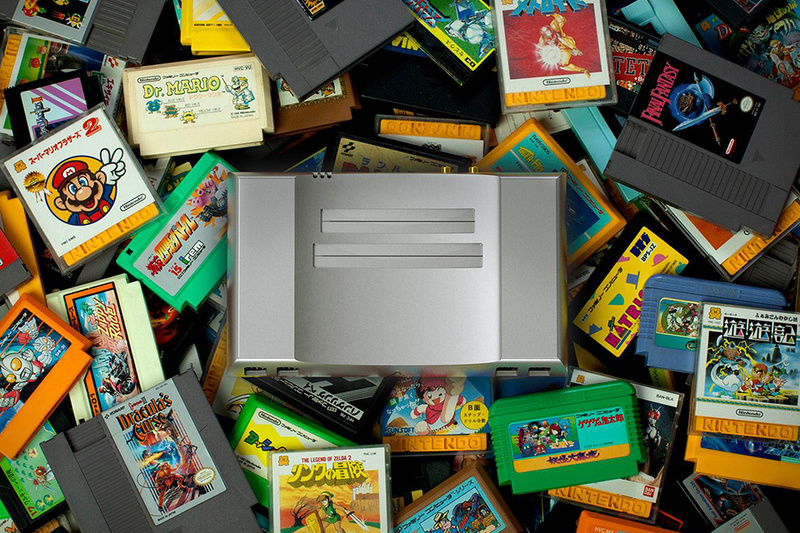 The details around the console are a little thin, but we do know it's a reengineered NES that also accepts Famicom games, offers what's promised as videophile graphics and audiophile sound, allows up to four players, doesn't rely on emulation, and is made from a solid block of aluminum. And that's good enough for us. Forget next-gen consoles — if Valve has their way, 2014 will be the year of the Steam Machine. And with 14 companies cranking out the boxes, it's not as easy as buying, say, a PS3. Which is why we've got our eyes on the Alienware Steam Machine ($TBA). Crafted by one of the most trusted names in PC gaming, this sleek black box will be powered by an Intel CPU and Nvidia GPU, and will (of course) run SteamOS, giving you access to tons of games running natively, and thousands more available via in-home streaming. It's like a HTPC, evolved. Games on the iPhone are great, and they only seem to get better — but controlling a game by tilting, shaking, and occasionally poking at a glass screen leaves something to be desired. With the Moga Ace Power Controller ($100), you get all the controls you're used to with console gaming, without sacrificing the convenience and portability of your phone. The controller expands to cradle your phone, and collapse back down to a small size to fit in your pocket or bag. It features dual analog sticks, a directional button, four action buttons, as well as left and right bumpers and triggers. Best yet, the controller also doubles as an extra battery pack, letting you keep a charge while you play. Compatible with all fifth generation iPhones and iPod touches. While we've watched as game systems have evolved exponentially over the years, not much monumental has happened to controllers since the invention of the joystick — that is, until the Steam Controller ($TBA). After announcing plans to build an operating system and console based on their popular PC-based gaming platform Steam, the guys at Valve set out to build an input device that would bring the control of a keyboard and mouse into the living room. Based around two circular trackpads that replace the familiar joysticks, it features advanced haptic feedback and a built-in touchscreen that let you play games formerly reserved only for desktop machines. Ditch that boring coffee table in your living room and replace it with one of the Surface Tension Arcade Tables ($3,000-$6,000). These arcade and entertainment systems come installed inside hand-built tables, with wood veneer available in a number of finishes, and a discreet, darkened glass cover. They come with built-in arcade-style controllers, and come packed with classic arcade games. Choose a higher-end model if you want yours to also come with a Windows 7 Home-powered PC, Sonos Connect, and the ability to connect to your HDTV. Unlike its biggest competitor, the Sony Playstation 4 ($400) isn't a one-room-entertainment system. Sure, it has all the things we expect from a next-generation console: a blazing-fast processor, lots of memory, and killer graphics (thanks to an 8-core x86 chip and 8 GB of GDDR5 RAM). And it has all the video services you'd expect, though it won't connect to your cable, or respond to gestures and voice commands. But it does have something, in addition to the cheaper price point, that Playstation fans and maybe some converts will love. Sony places none of the restrictions on used games that its competitor enforces, and it doesn't require you to be online to play. We like that a lot.